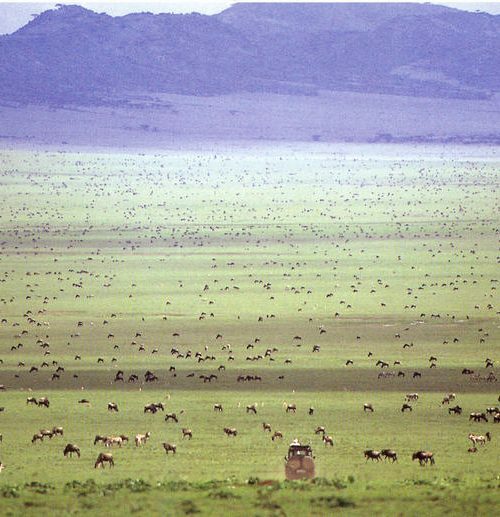 The first part of your Serengeti migration & beach holiday will be spent in a ‘semi-nomadic’ safari camp which moves location according to the path of the great migration made by millions of animals across the Serengeti each year. Here you will be treated to some spectacular wildlife viewing as approximately 250 000 zebra, 1.7 million wildebeest and hundreds of thousands of other wildlife make their way across the Serengeti plains in search of water. Spend your days going on game drives and enjoying picnics in the bush while being treated to truly wonderful African hospitality. Evenings will be spent sharing stories of the day’s activities and game sightings around the campfire. 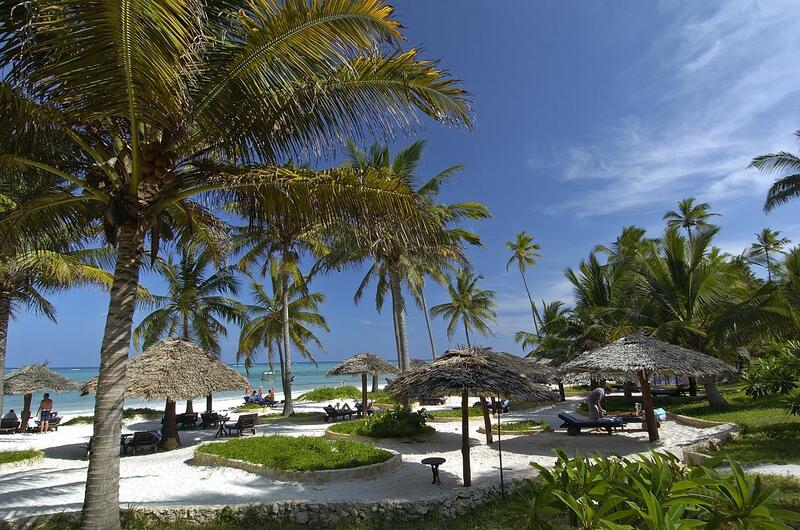 Moving on from the lively Serengeti, the next part of your Serengeti migration & beach holiday takes you to a tranquil beach resort along the South East coast of Zanzibar. You will spend 7 nights in luxury beach house accommodation where you can enjoy diving, snorkelling, kitesurfing or even a game of tennis or some time at the gym! There is also a well-equipped spa on the premises for those seeking some TLC! 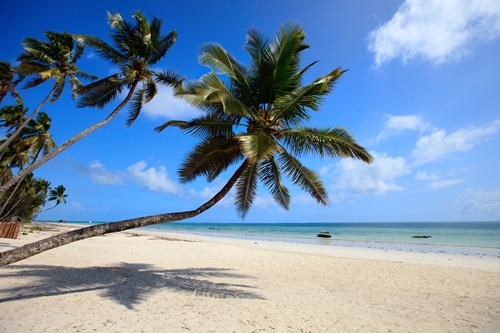 You can spend your time in Zanzibar doing as much or as little as you like, from simply strolling along the white sandy beaches, soaking up the sun and sipping on cocktails, to taking a spice tour, visiting the nearby prison island, taking a tour of Stone Town or even taking a boat trip to swim with dolphins! The Serengeti migration & beach itinerary is the ideal holiday for adventure-seeking couples and families looking for a bit of both beach and bush experience. Upon arrival at Kilimanjaro International Airport, you will be met by a local representative and assisted with your aircraft flight to Seronera. You will spend the next 3 nights at Nomad Serengeti Safari Camp – giving you the chance to witness the great Wildebeest migration across the Serengeti. Your stay is on a full-board basis and includes game drives, picnics, house drinks and a laundry service. Following your Serengeti migration experience, you will catch a light aircraft flight to the crystal-clear waters of Zanzibar. A local representative will meet you and assist with your transfer to Breezes Beach Club, where you will be staying in the Deluxe Suite for 7 nights on half-board basis. Spend your days relaxing on the white sandy beaches sipping on cocktails or go out and enjoy some snorkelling in the natural coral reefs. 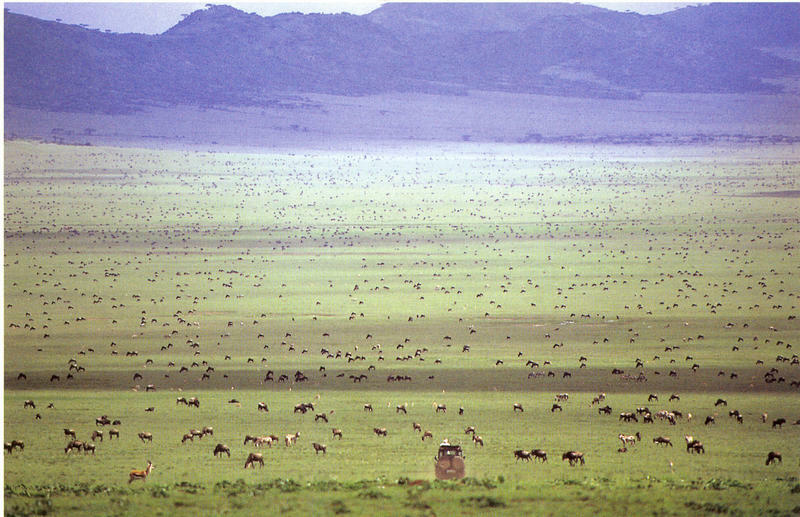 Today marks the end of your Serengeti migration and beach holiday. Check out of your Deluxe Suite at Breezes Beach Club by 10:00 am and spend the rest of your day at leisure. 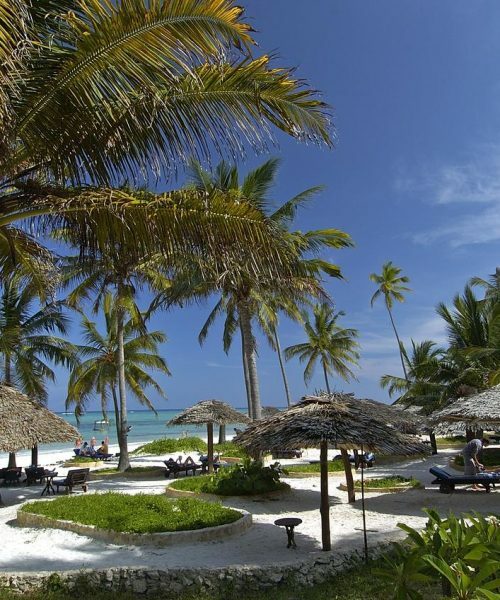 Go for a last swim in the warm Indian Ocean or a long walk along the sandy shores to end off your holiday before being collected from Breezes Beach Club and being transferred to Zanzibar Airport and catching the connecting flight back home. International Flights: We have not included the international flights from London to Tanzania as there are ongoing flight specials with flights costing from £700 – £1000+ per person return. Speak to us to find the best deal for your Tanzania holiday. We guarantee that our prices are competitive!